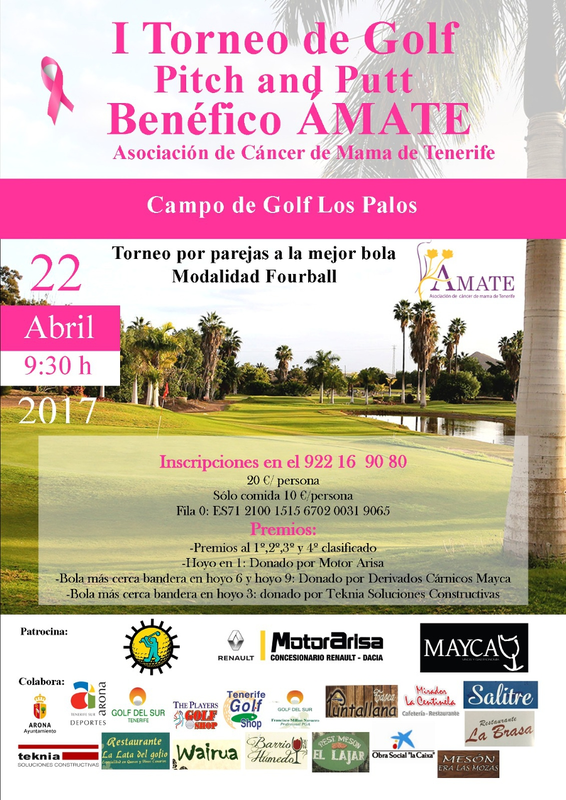 Come along and support Breast Cancer Association Amate at the Pitch and Putt Tournament at Golf de Los Palos on Sunday 22nd April. The four-ball tournament is for pairs and costs 20 Euros per person. If you would just like to come along and watch you can donate 10 Euros for food only. To register to take part call: 922 169 080.